Many phones have a mode to play music without using headphones. With it, you can listen to with your friends a new song or watch a recorded video. However, the sound quality of one speaker will not be able to disclose all the nuances. To get the quality stereo sound you need to buy or make their own hands speakers for phone. Define the parameters of the speakers and the way their performance is one unit or separate column, created with his own hands. Find in the Internet the table of conformity to the technical parameters of the speakers and the size of the column. The low power should be placed in column no bigger than a pack of cigarettes. Recorded dimensions and cubic capacity of future columns. Spaced on the sheet of plywood the size of the future speakers for the phone. Put the size on the dynamics of the plywood on the front side of future columns. We cut out the plywood parts of the columns. Sandpaper workpiece, removing the notch. Parts being clamped with screws. Joints sizing joiner's glue. Pay special attention to integrity is reflected in the quality of the sound. The surface of columns with paint or paste of the different films that simulate a variety of surfaces – metal, stone, wood. Fasten the connecting wire to the connector that the speakers will connect to your mobile phone. 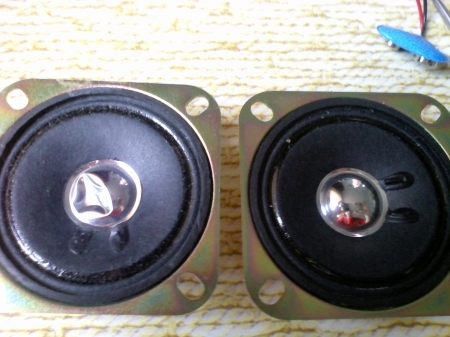 The second end of the factory through the rear wall of the column, and using soldering iron, apply solder to the pins of the speakers. Observe the polarity when connecting. Fasten the speakers to the speaker enclosure. Loose wire hidden inside the column. Connected speakers to your mobile phone. Include music or video clip for review. For the manufacture of columns for the phone it is recommended to find a special table of correspondence of technical parameters of speakers and sizes of speakers.